Set to open to the public this Thursday, Apple is touting its new eco-friendly retail store in Dubai, including a 186-foot curved storefront and a balcony overlooking both Burj Khalifa and the Dubai Fountain. Apple Dubai Mall, via Gulf Business. 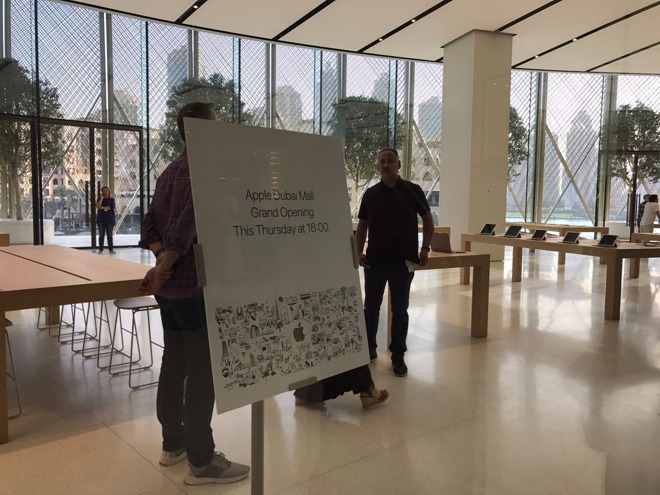 In a press release, the company said it views its new Apple Dubai Mall store as a community gathering space. It will serve as a venue to watch evening fountain shows, and to host the newly announced Today at Apple retail sessions. Designed by Foster + Partners, the store includes 18 "Solar Wings" each 37.5 feet high, which dynamically respond to weather conditions in the United Arab Emirates. The wings will shield the sun on hot days, and open in the evenings. The wings were inspired by the traditional Arabic Mashrabiya, and are each locally fabricated from 340 carbon fiber reinforced polymer rods. Totaling 180 feet wide, Apple said the panels are one of the world's largest kinectic art installations. The new Dubai Mall store will be Apple's third in the UAE, joining existing locations in Dubai and Abu Dhabi. Apple says more than 4 million visitors have set foot in its two local stores since the first opened 18 months ago. 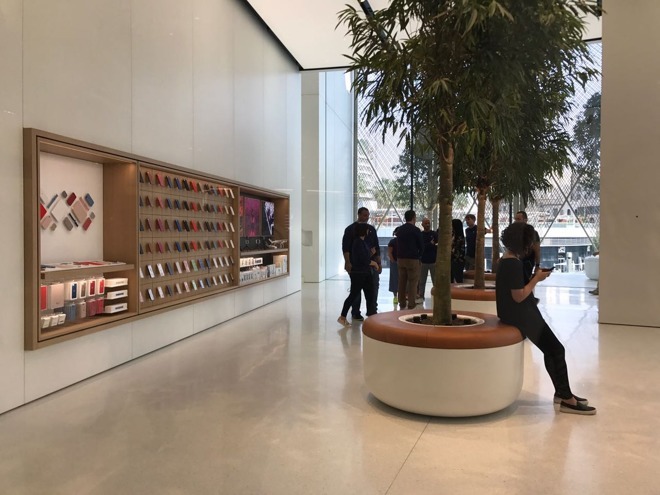 "We view our stores as a modern-day town square, where visitors come to shop, be inspired, learn or connect with others in their community," said Angela Ahrendts, Apple's senior vice president of retail. "And what better place to come together than overlooking Dubai's epicenter, where the Dubai Fountain, Burj Khalifa and Dubai Mall meet. We are so honored to have a home at one of the world's most incredible and dynamic intersections." + Free shipping within the contiguous U.S.